su na Releases “Tell Me” Project from Surface EP on Splice! Sign Up for Splice to download the project for free! Splice: First of all, congratulations on launching your EP, how does it feel that it’s out there now? su na: Thank you! Man this one took a long time to get together so it feels surreal to finally see it on Spotify etc. Really happy to share it, and also working on a follow up project now. Splice: Could you tell us a little bit more about yourself, how did you get a start in music? su na: I got started playing drums as a kid, and picked up Ableton Live in 2005 when I was 15. I moved all over and eventually landed in San Francisco. I’ve always listened to hip hop/beats but the west coast beat scene (Low End Theory, Soulection, etc.) inspired me to start making it more myself. I started producing as “su na” and from there it’s just been learning and growth. Splice: The production on “Tell Me” is great. How did the idea for the song come about? su na: Thanks! The track was kind of a follow up to my previous ep Meridian. It has that same kind of “wall of sound” synth in the chorus as Meridian’s title track. I wanted to produce a single with a lot of energy. Splice: Could you talk a little more about how you create space for the vocals in your arrangement on “Tell Me”? su na: In “Tell Me,” the vocals are the dominant element of the verse and the synth is the dominant element of the chorus. I made that decision pretty early in the production process. The verse synth uses LFO to modulate the filter so it opens and closes rhythmically, this leaves space for vocals to fill the gaps. In the chorus the filter opens up all the way and Ravyn wrote a hook that works with the progression. Splice: What was it like working with Ravyn? Did you work with her remotely or in-person? su na: It was great, Ravyn works really fast and is super talented. We worked remotely, I sent the instrumental and she sent me this huge folder of vocal tracks and harmonies. I definitely had my work cut out for me when I started mixing. Splice: Lastly, any tips for producers out there who are planning an EP release? su na: Yes don’t worry about producing masterpieces. It’s okay to produce a lot of shorter ideas and not use some of them. I think the practice helps you zero in on a cohesive sound for a project and also makes you faster and better at your craft. Splice: Thanks su na for taking the time to chat with us. Feel free to read more about Surface and visit su na’s Splice Profile and SoundCloud pages. Things move with gentle steadiness on Surface, the new EP from Minneapolis producer su na, the alias of Alec Ness. It’s a patient, futuristic R&B record that’s so immersive, it borders on synesthetic. Like a camera’s image coming into focus, blurry chordal backgrounds change into sharp lines just as the moment’s right, and Surface does prove to be a snapshot of very, very deep things. 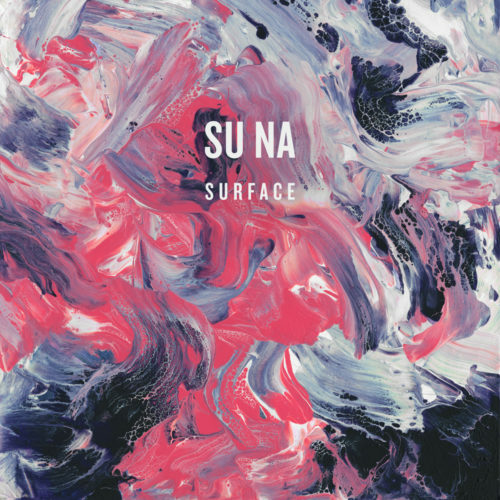 On Surface, su na delivers six new beautifully dense songs that blend hip-hop with glassy soul. Opener “Tell Me” unfurls like dawn over a sleepy city, while closing track “Essex” sways like it’s had one-too-many drinks. su na’s detailed beats and fulsome chords are what brings it all together, and on Surface his music reaches a new level of polish and power. It’s music for wandering the streets alone; it’s music for waking up together. su na plays with ideas of passion, longing, and release, and Surface is a record that demands day-long repeat listens. Like Ta-Ku and Mr. Carmack, su na proves that digitally-produced future R&B can beat with a human heart.